Dr. Steyl is a highly skilled and experienced Geographer/Environmental Scientist who earned her PhD at the University of Southampton, UK. 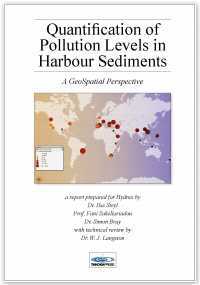 Prof. Sakellariadou is a professor in Geochemical Oceanography in the Department of Maritime Studies, University of Piraeus, Greece. She gained her PhD at the University of London and is the author of the book Oceanography. Dr. Bray is a marine ecologist and visiting researcher at the University of Southampton where he gained his PhD. He was commissioned by WWF to carry out extensive research on the effects of TBT which contributed to its eventual ban by the IMO. Dr. Bill Langston, who reviewed the report, is an Associate Fellow and Head of the Ecotoxicology Laboratory at the Marine Biological Association of the UK. He is a world renowned and much respected ecotoxicologist.